PDO (PHP Data Objects) is an abstraction layer for your database queries and is an awesome alternative to MySQLi, as it supports 12 different database drivers. This is an immense benefit for people and companies that need it. However, keep in mind that MySQL is by far the most popular database. It's also exceedingly tightly coupled with PHP, which is why that number is significantly higher within the PHP world, as PHP and MYSQL are like peanut butter and jelly. NoSQL is a different story, and Firebase and MongoDB are excellent choices, especially the former, as it's a live database — both are obviously not supported in PDO anyway. Note: For this tutorial, I will be showing non-emulated (native) PDO prepared statements strictly with MySQL, so there might be some differences on a different driver. If you know for a fact that the only SQL databases you'll be using are either MySQL or MariaDB, then you can choose between PDO or MySQLi. Check out the following tutorial, If you'd like to learn MySQLi. Either one of these is perfectly acceptable to use, though PDO is the better choice for most users, as it's simpler and more versatile, while MySQLi is sometimes more suitable for advanced users, due to a few of its MySQL-specific features. A lot of people regurgitate that the main advantage of PDO is that it's portable from database-to-database. This is an extremely overstated benefit and is essentially nonsense. SQL is not meant to be transferred this way, as each DB driver has its own nuances; plus, how often are you really making decisions to switch databases on a specific project, unless you're at least a mid-level - large company? Even so, as a rule of thumb, it's generally preferred to stick with the current technology you're using, unless there's a justifiable reason to lose a variable amount of time (money) to do it. The true advantage of PDO is the fact that you're using a virtually similar API for any of the myriad of databases it supports, so you don't need to learn a new one for each. Named parameters are also undoubtedly a huge win for PDO, since you can reuse the same values in different places in the queries. Unfortunately, you can't use the same named parameters more than once with emulation mode turned off, therefore making it useless for the sake of this tutorial. A controversial advantage of PDO is the fact that you don't need to use bindParam() nor bindValue(), since you can simply pass in the values as arrays directly into execute. Some might argue that this is considered bad practice, as you can't specify the type (string, int, double, blob); everything will be treated as a string and gets converted to the correct type automagically. In practice, this shouldn't affect your ints or doubles, and is safe from SQL injection. This article will bind values directly into execute. Similar to bindValue(), you can use both values and variables. We won't be covering the two bind methods, but if you'd like to know a subtle difference between the two, read this part of the article. If you'd like to learn how SQL injection works, you can read about it here. I recommend creating a file named pdo_connect.php and place it outside of your root directory (ex: html, public_html). So what's going on here? The first line is referred to as DSN and has three separate values to fill out, your hostname, database and charset. This is the recommended way to do it, and you can obviously set your charset to whatever your application needs (though utf8mb4 is pretty standard). Now you can pass in your DSN info, username, password and options. Alternatively, you can omit using a try/catch block by creating a global custom exception handler. If this is included on all your pages, then it will use this custom handler, unless you do restore_exception_handler() to revert back to the built-in PHP exception handler or call set_exception_handler() with a new function and custom message. This is extremely debatable, but one thing I like about MySQLi is that error reporting is turned off by default. This is smart, so a beginner wouldn't accidentally print out his password. In PDO, even though you you have control to silence errors, you can't do this for the constructor. So obviously you should first set up your php.ini for production. Now all errors on your site will solely accumulate in your error log, instead of printing them out. Still, I don't see a reason to print out your password in your error log, so I'd recommend doing try/catch or set_exception_handler, while doing error_log($e->getMessage()) , not $e, which would still contain your sensitive information. This obviously exclusively applies to when you create a new connection. I really love this feature, and it's a huge advantage for PDO. You specify a variable named :id and give it its value on execute. Though as stated earlier, its only advantage of being used multiple times is rendered useless if emulation mode is turned off. You technically don't need the leading colon on id for the execute part, as stated here. However, this isn't explicitly stated anywhere in the docs, so while it should work as some users have astutely concluded by looking in the C code, it is not technically recommended. My hunch is that PHP will document this eventually anyway, since it seems like there are enough people who omit the leading colon. I dedicated a section to using named parameters, since the rest of the post will be using ? instead. Keep in mind that you can't mix both together when binding values. All of these are extremely similar to each other, so they will be combined. You can even chain prepare() and execute(). Though you won't be able to use any functions, like rowCount(), so it's pretty much useless in practice. Getting the number of affected rows is exceedingly simple, as all you need to do is $stmt->rowCount(). Normally if you update your table with the same values, it'll return 0. If you'd like to change this behavior, then the only way to do this is by globally adding this option when you create a new connection PDO::MYSQL_ATTR_FOUND_ROWS => true. Sometimes you might need to enforce a unique value for one or more columns. You obviously could simply to a SELECT statement to check if there's already a row with the values attempted to be inserted. It's not necessarily wrong to do this, but it doesn't make sense to do an extra database query, when you could easily just check the error message. You can either check for the SQLSTATE or the vendor-specific error. For a duplicate entry on a unique constaint The SQLSTATE is 23000, while the MySQL error code is 1062. Here's a nice reference for a list of errors. To get the SQLSTATE, you can either use $e->getCode() or $e->errorInfo; to get the MySQL error code, you must do $e->errorInfo. Note, the behavior of $e->getCode() is the opposite of MySQLi, which will print the MySQL-specific error code. Also, don't use PDO::errorCode or PDO::errorInfo. Stick with the PDOException class, as for some reason, the PDO class error methods just print out 00000. To fetch results in PDO, you have the option of $stmt->fetch() or $stmt->fetchAll(). The former is more versatile, as it can be used to fetch one row, or all if used in a loop. The latter is basically syntactic sugar, as it lets fetch your entire result set in an array with that one command. It is preferred to use $stmt->fetch() in a loop if you are modifying that array, as it saves you from having to "re-loop" it. You also can use $stmt->setFetchMode() to change the default fetch mode, rather than passing it into fetch() or fetchAll(). But this is just a wasted extra line, and should only be done in cases where it's required. The fetch modes in PDO are easily my favorite aspect. I will be mixing them into my examples, but here are some of the constants I find to be the be the most useful. Note: some of these fetch modes use a bitwise operator, like |. In the case of PDO, you can essentially think of it as combining fetch modes. This is referred to an inclusive or and is the only bitwise operator you need to worry about. PDO::FETCH_CLASS - Fetch as either a generic stdClass Object or into an existing class if specified; the same as using PDO::FETCH_OBJ if anonymous object, so it makes more sense to use this, as it's more flexible. Can be used with fetch() as well, but isn't preferred. Since we set the default fetch type to be an associative array, we don't have specify anything when fetching results. There's also the slightly longer while loop version, which is sometimes handy for manipulations. Similar to fetching an associative array, but with objects, so you could access it like, $arr->age for instance. You can even append property values to an already existing class, like so. Keep in mind that this has unpredictable behavior of injecting the property value before setting it in the constructor (if you have one). This means that if you already used one of the variable names in the constructor, then the fetch value will get overwritten by default value. This behavior is noted here. To ensure the values are assigned after the constructor is called, you must do fetchAll(PDO::FETCH_CLASS | PDO::FETCH_PROPS_LATE, 'myClass'). Another unexpected, yet potentially useful behavior this has is that you can modify private variables. I'm really not sure how I feel about this, as this seems to violate principles of encapsulation. Now you access each variable, like $arr['name'] for instance. This is to mimic the (only beneficial) behavior of bind_result() in MySQLi, which is to be able to bind values to a variable name. Now you can access each variable like so: $name. A common use case for this is if you just want to get a row count and store it in a variable. There's a gotcha with using fetch(PDO::FETCH_COLUMN) with a boolean value, as there is no way to distinguish between no rows and a falsy value. The following example uses the MySQL COUNT() function, which would obviously be fine to just check for truthiness. However, for every other case, if the column itself is a boolean value, like 0, then you should must use either $stmt->rowCount() === 0 or $colVal === false to check if there are no rows. To be clear, this behavior doesn't occur when you need to fetch an array with fetchAll(PDO::FETCH_COLUMN). Nonetheless, if you were to use fetch(PDO::FETCH_COLUMN) in a loop to store values in your array, then this unexpected behavior still occurs. I honestly don't see why anyone would do this over using fetchAll(PDO::FETCH_COLUMN), but it should be noted. Now $count is the literal value of the row count. This is can be handy, as you can easily separate it into a bunch of separate 1D arrays, rather than just one multi-dimensional array. Keep in mind that I used rowCount() to check if there are any rows. Most drivers don't have ability to use rowCount() on SELECT statements, but MySQL does. If you are using a different driver, you can use isset() on each array variable after the while loop or declare each variable to an empty array. The same concept as the example right before, but this is handy if all you need to do is get the an array of only one column. This creates an associative array with the format of the first column as the key and the second column as the value. Therefore, your first column needs to be a unique value. For lack of a better term obviously. What I mean by this is that the key will be your first column, which needs to be a unique value, while the value will be the rest of the columns as an associative array. I'm not sure why this comment on the PHP docs states that you must bitwise it and add FETCH_GROUP, like so: $stmt->fetchAll(PDO::FETCH_UNIQUE | PDO::FETCH_GROUP). It has the same effect either way from my testings. Let's say you want to group by eye color for instance. This handy fetch mode allows you to do it extremely trivially. The difference between this and the previous example is essentially the same situation as FETCH_KEY_PAIR vs FETCH_UNIQUE. The preceding example groups the first column, with an array, while this one groups the first column with all values from the second column. Same as fetching in a regular group, but with object subarrays instead. You can specify a classname too. This is almost the same as PDO::FETCH_CLASS, PDO::FETCH_OBJ or fetchObject(). The only differences are that this fetches into an already constructed class and for some reason it won't let you modify private variables. I personally don't understand why they made a separate fetch mode for this, rather than allow you to pass it into fetch() with PDO::FETCH_OBJ. Another annoying aspect is that PDO forces you to use $stmt->setFetchMode(PDO::FETCH_INTO, $myClass), followed by fetch() (fetchAll() will give you the exact same result). For the average person, this probably isn't too useful. But for users who heavily use object mapping in PDO, this actually pretty cool. Though these type of users would like be using an ORM or query builder, it nevertheless showcases how powerful PDO is on its own. For this work, you need to declare the names of your classes, otherwise it'll just use stdClass. So you need to know the values of your database, which could be inconvenient. You are also not allowed to declare parameter arguments, like you would with PDO::FETCH_CLASS on its own. I'm sure it sounds confusing, but I couldn't think of a better way to describe it. It's really pretty neat, since you're fetching a PDORow object that's a pointer to the result set essentially. It doesn't actually fetch anything at all, until you use an array or object index (lazy). The most brilliant part of the implementation is that once you "fetch" it, you have the option of using it as an object, associative or numeric array in the most memory-efficient manner possible. It should be noted that if the index is out-of-bounds, it'll return null instead of throw an error. You might intuitively try to do something like the following. However, this will not work. This is how you would do it the right way. As you can see, PDO clearly excels in this too, as the code is much shorter, due to not needing to specify the type with bindValue() or bindParam(). If you want to ensure that multiple SQL calls are concurrent, then you must use transactions. This ensures that either all of your operations or none of them will succeed. For instance, this could be useful for transferring a row to a different table. You'll want copy the row over to the new table and delete the other one. If one of the operations fails, then it needs to revert back to its previous state. If you turned on errors and forced them to be exceptions, like in the create new connection section then the easiest way to handle your errors is by putting them in a try/catch block. Now you have access to the PDOException class. A beginner might assume that proper error handling entails wrapping each query block in a separate try/catch block, similar to regular error handling with an if statement. While there's nothing technically wrong with doing that, it just looks a lot more elegant to use a single, global try/catch using the base Exception class or to use set_exception_handler(). The only exception to this is with transactions, which should have its on separate one, but then throw the exception for it to go to the global try/catch. All of your pages — even ones without PDO — should be set up like this, as you typically just need to give a message for the entire php page. However, sometimes you might need to catch specific cases, so you can use as many specific exception types as you need, along with Exception $e. You may have noticed that I'm throwing an exception for execute if it's fasly, which seems redundant, as we already turned on error handling in the form of exceptions. Nevertheless, I noticed an odd behavior, which is that execute() can solely return false in some scenarios if emulation mode is turned off, which is the only mode this tutorial is discussing. It could be MySQL specific, but I'm leaving it in since I personally have experienced this when there are too many parameters bound to execute. It will simply return false and act as if nothing went wrong. This would give especially undesirable behavior in transactions, since a query would silently fail, while the others would work, therefore defeating its purpose of being linearizable. This is why you must check for truthiness in case this happens. I actually couldn't find too much info about it, but this StackOverflow describes the issue pretty well. Weirdly enough, if you don't bind enough variables, it'll correctly throw an exception. Do I need $stmt = null? This is essentially the same as using $stmt->close() in MySQLi and the same applies. No, it's certainly not required, but is considered good coding practice by some (obviously subjective). I prefer to be explicit and I also do both $stmt = null and $pdo = null. If you are closing the PDO connection, then you must close the prepared statements as well, as stated here. While this isn't exactly the same as using $mysqli->close(), it's pretty similar. A PDO function to close the connection is something that has been requested for years, and is dubious if it'll ever be implemented. Closing the prepared statements would be useful if you're reusing the same variable name. Both are not truly necessary, as they will close at the end of the script's execution anyway. When using prepared statements, you have two options: emulation mode on or off. This article strictly covered native prepared statements, as I believe that you should use real prepared statements if your driver version supports it. Emulation mode seems more like a fallback solution for drivers/versions not supporting native prepared statements; this has been supported in MySQL since version 4.1. When emulation mode is turned on, it's essentially like using PDO::quote or type casting to manually format your queries — it'll automagically always do this securely. While this should still be just as secure in theory by using MySQL 5.5+ and setting the charset to utf8mb4 when you create a connection, I'd still suggest using native prepared statements. Check out this excellent write up on an obscure edge case attack. 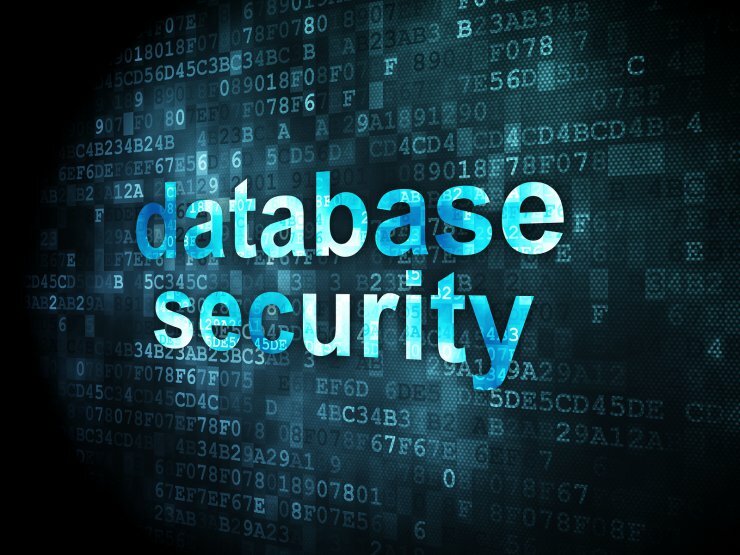 Even though we're talking about theoretical threats, non-emulated prepared statements completely eliminate the possibility of an SQL injection attack. The query with the dummy placeholders is sent to the server first, followed by the values to bind — the query and data are completely isolated. Here are some key differences between the two. Here's an example of how you would use LIMIT with emulation mode on. The reason it's happening, is because MySQL ends up interpreting it as LIMIT '23'. So you can either use native prepared statements, or use bindValue() to explicitly define it as an int. This tutorial didn't really go over either too much, since you don't really need these, except for in edge cases when you need enforce the data type. Nevertheless, it's worthwhile to understand the differences, as you never know when you might run into a situation where it could be useful. Both methods are used to manually bind to the prepared statement. The difference is that bindValue() is more versatile, as you can bind variables and values, while bindParam() can only accept variables. Therefore, bindParam() is identical to bind_param() in MySQLi. So why does this method even exist, if it only has disadvantages? Consider the following case. With bindParam(), you can continually change the variable and re-execute. This is not the case with bindValue(), as you will need call the method again. I doubt I'll ever need this, but it's nice to have the option. The reason it acts like this is obvious if you take a look at the docs, as it's a pass by reference function argument.